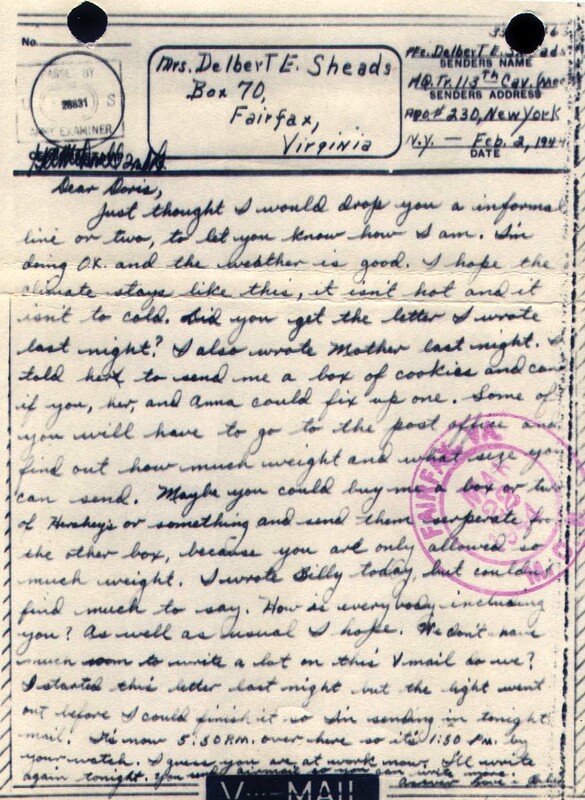 “V-Mail Letter from Bill Sheads to his wife, Doris,” braddockheritage.org/, accessed April 24, 2019, http://braddockheritage.org/items/show/70. 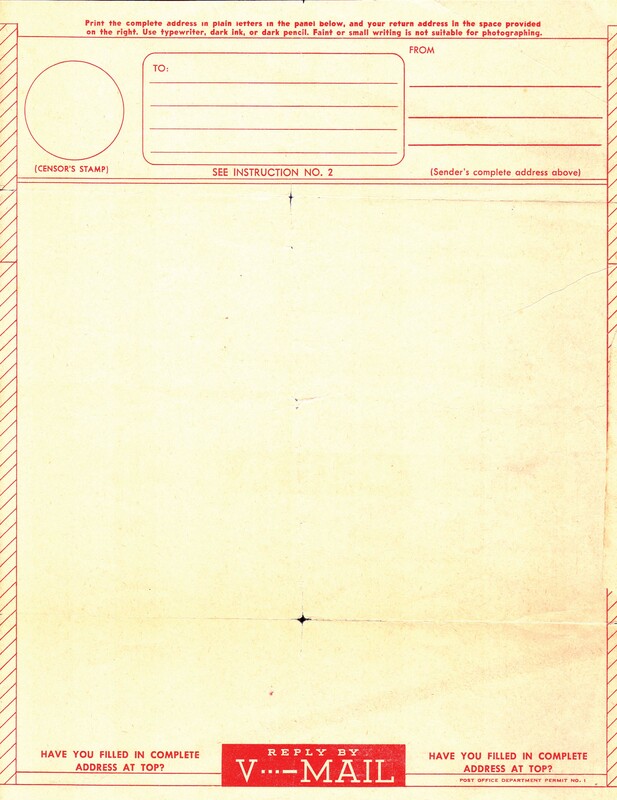 During World War II, soldiers overseas sent letters home by V-mail. 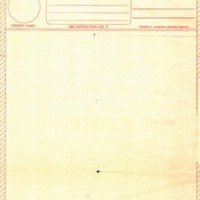 V-mail letters folded into their own envelopes and saved valuable shipping space for war materials. During the war, Delbert [Bill] Sheads wrote to his bride, Doris Hollis, who worked at Fort Belvoir as a typist and secretary while her husband fought in the European Theatre.